The all-new Hyundai Elantra GT is now available at our Nashua dealership. This versatile hatchback has a refined interior with ample cargo space. Whether you want to go for a road trip or have to run errands in city, you have got it covered with the new Hyundai Elantra GT, from our dealership in Nashua. Its advanced safety features ensure that you and your passengers enjoy any trip with total peace. Whether it is a rough terrain or a freeway, you will be able to handle both, thanks to this car. We have a large selection of other new vehicles too, along with the new Elantra GT at our Nashua store. We also offer some great financing options on this hatchback. Call or email us to schedule a test drive! 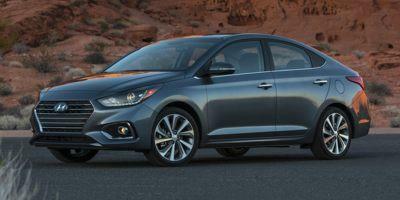 We look forward to telling you more about the new Hyundai Elantra GT in Nashua. We understand that buying or leasing a vehicle is a major investment. It is essential to be absolutely sure about every aspect of that process. But rest assured, our financing and sales team will answer all your questions. If you are looking to explore the new Hyundai Elantra GT inventory, consider our Nashua dealership. Our staff is always going that extra mile to ensure that our customers have a pleasurable experience at our store. We are here to answer any questions and help you find the perfect vehicle. Further, we are committed to helping you maintain your vehicle in the best possible condition and that’s why we have the service and parts departments. So if you are looking to add style to your existing vehicle or buy or lease a model from our new Hyundai Elantra GT inventory in Nashua, we can handle it all.